Many landholders fail to conduct a Risk Analysis & Investigation (RA&I) before they purchase a property or start development. They risk issues such as financial hardship, production losses and legal action for things like unintended legislative breaches which could be prevented by even the most basic investigation of the constraints the property may have on it. In the same way that you might undertake building and pest inspections before purchasing a new home, it’s important to conduct investigations on a property to ensure there will be no surprises after you purchase. Have I checked mapping and all online databases before disturbing remnant or regrowth vegetation? Do I really know what defines regrowth and which legislation should I take the most notice of? - the results might surprise you. Is a Weed of National Significance (WONs) survey required to make sure local government doesn’t enforce a biosecurity compliance order on me? Will enacting that biosecurity order from the local government put me in breach of State and Commonwealth legislation? - in NSW, there’s a good chance it will. How, then, do I stay inside the law? I have a Property Map of Assessable Vegetation (PMAV) - Queensland only - so can clear any regrowth I want to? Not necessarily. With some types of vegetation (e.g. Threatened Ecological Communities; Matters of National Environmental Significance) Commonwealth legislation, and even local government laws, can override a PMAV. Can I continue to cultivate and crop a paddock that’s been left fallow for 8 years? It only has a couple of trees dotted here and there and it was previously under cultivation, so there won’t be a problem, right? Wrong! Have I done a check for contaminated land? Did the previous owner cover over an old dump site? Did the property have an old dip site on it many years ago? - will this have implications for cropping or grazing? Does the property I’m purchasing have a Mining Development Lease (MDL), Petroleum Lease (PL), or other, showing on the property search form. Does this mean someone else has an interest in the property? The paperwork says my property is listed as a GHPL, GHFL, and SL, Freehold or the rarely heard of “Fee Simple”. What do they mean and do they have any restrictions on development on what I can do on the property? Is the property boundary actually in the right place? This can be quite relevant if your property is near an escarpment, jump-up or some hard country. What does this mean for me? Is the country I’m looking at buying or thinking about cropping actually suited to the crops I’m familiar with? Do those areas of dead grass or fleshy plants have any significance? Should I be concerned? 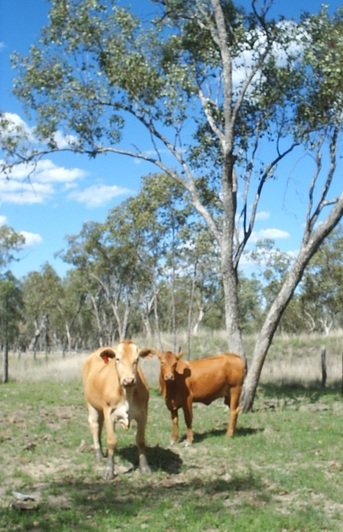 These questions all have answers that may affect your livelihood or potential to crop or graze. The implications of these questions, along with many others, are ‘real’ and won’t go away if you ignore them. Many buyers, when buying a property, or coming on to a property following purchase, or simply changing from grazing to cropping or visa-versa, need to have these questions answered before they move forward. Don’t just assume your lawyer or real estate agent will give you the answers. They only provide the basics as per their legal and moral obligations. CROSSROADS Rural & Environment can provide you with the full suite of answers because we know the land, the legislation, the processes, forms, licences, databases and Government departments… we have the expertise. 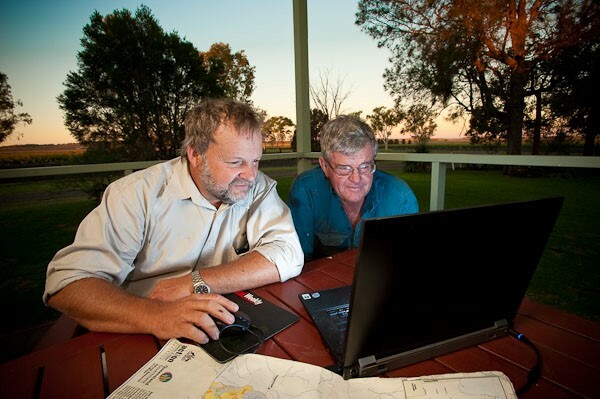 While we are now working with landholders in NSW and Qld to complete a Risk Analysis & Investigation (RA&I) relevant to their properties, we are also working with landholders who haven’t completed a RA&I and are being prosecuted by Commonwealth, State and local government. ​From our experience, it is far easier, and cheaper, to complete a RA&I earlier rather than later. To our knowledge, CROSSROADS is the only company completing the full suite of rural Risk Analysis & Investigation (RA&I) services tailored to the individual property. 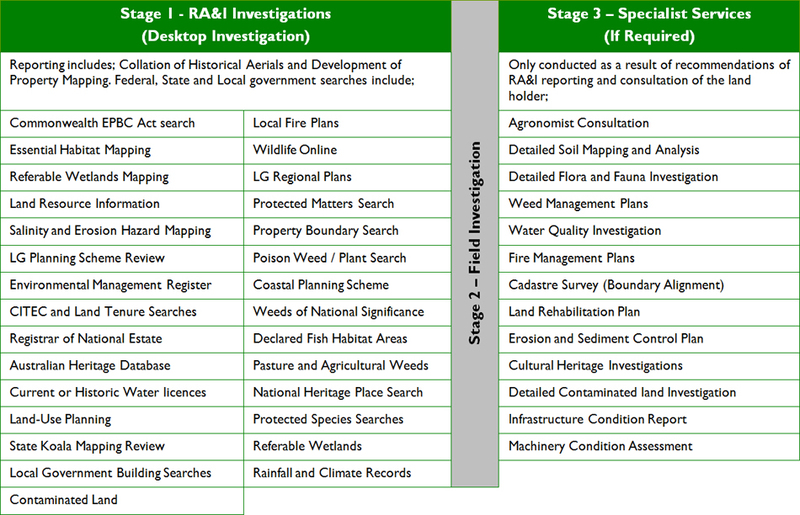 We have ecologists, planners, environmental engineers and mapping capability and agricultural specialists available to ensure you receive the correct advice. ​We also ensure we have personnel available outside of normal business hours should you require clarification on any issue. red (Stop – if you proceed, there will be serious implications), along with maps, results of database searches, copies of permits, State Government (CITEC) search results, conditions, etc. Each report is written without confusing acronyms or, if acronyms are used, a glossary of terms is provided to explain them. Before you start developing your country, please, invest in a RA&I and protect yourself.